I’m not normally a smoothie drinker, but tonight I was seriously craving one. 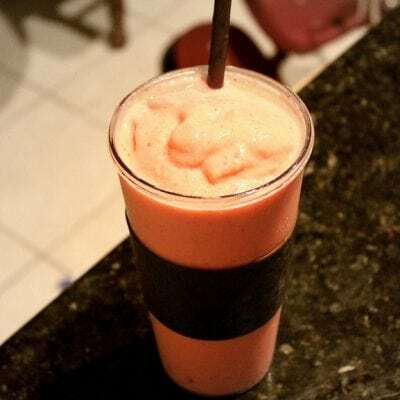 We always have frozen fruit on hand because I love eating it for dessert (with a little bit of whipped cream), so I rummaged through the freezer and pantry to come up with The Ultimate Strawberry Peach Smoothie. Yum. Yields about 24 ounces of heaven. 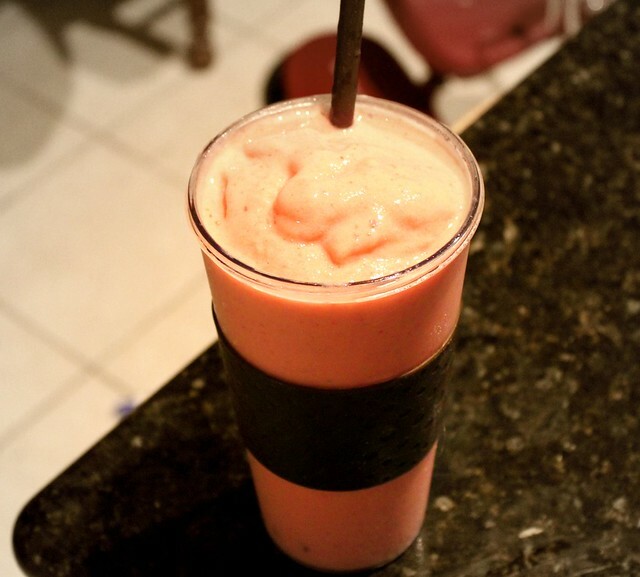 – Add ingredients to the blender and blend until smooth. Love this recipe. I use ice instead of milk.